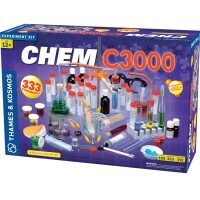 Your child can learn about the stuff that makes up stuff with the award-winning Chemistry Plus kit. 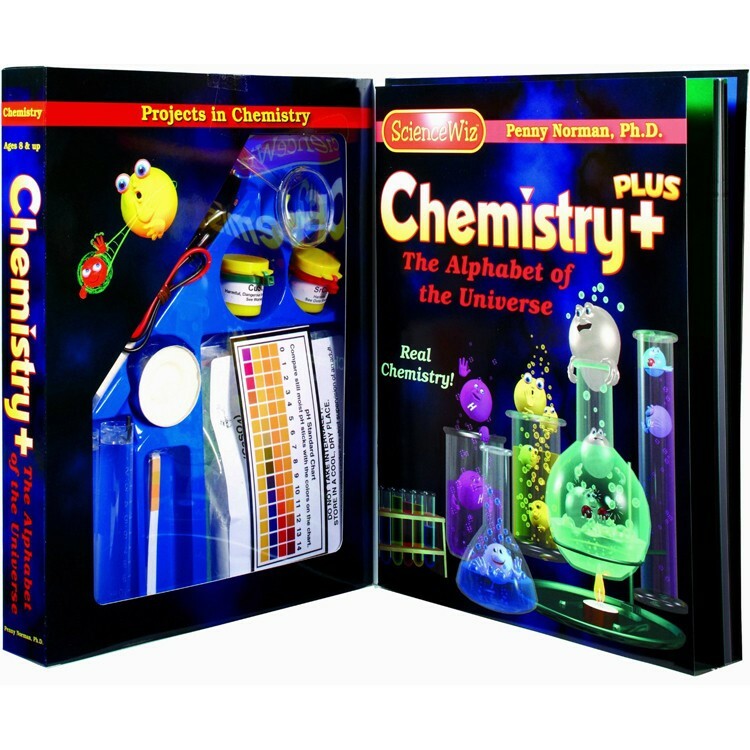 This Chemistry learning science kit allows you and your children to explore different aspects of chemistry using a hands-on method. A rocket. Salt. Protons. The periodic table. What do all these things have in common? They all involve chemistry! When we are walking, swimming, having water fights, baking, running, and even sleeping we also always use chemistry. 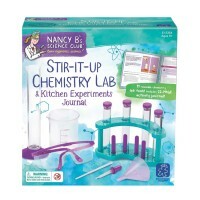 Your child can learn about the stuff that makes up stuff with the award-winning Chemistry Plus Science Kit. 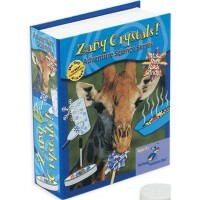 This fun science toy uses fun experiments and activities to teach your children about chemistry. Some activities that Chemistry Plus includes are making rocket fuel, popping hydrogen, hunting for naked protons, flaming test salts, growing huge crystals, acting out the roles of protons and electrons, modeling 3D shell orbitals, testing for acids, and more. 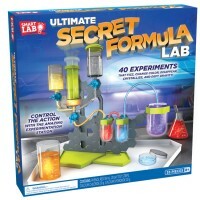 This fun science set contains an instruction booklet. 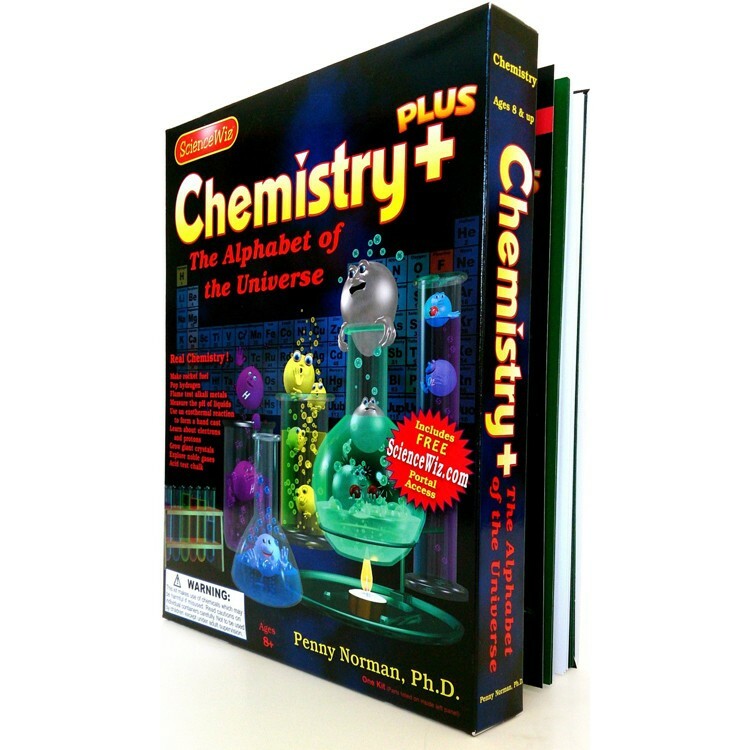 The Chemistry Plus Science Kit from Educational Toys Planet is also a great addition to any classroom.Chemistry is all around us! From baking a delicious cake to squirting a water gun, we always use chemistry. 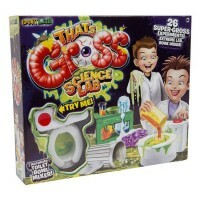 Now, your children can learn more about this scientific area from the award winning Chemistry Kit. 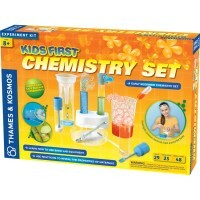 This learning science kit allows you and your children to explore different aspects of chemistry using a hands-on method. 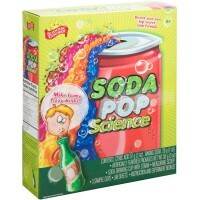 This fun educational science toy from Educational Toys Planet is a great way to teach your young chemists about the stuff that makes up stuff. 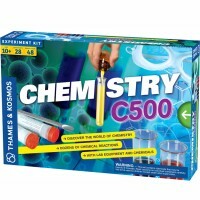 Some activities that the Chemistry Kit includes are candle creation, water squirting, freezing and thawing, growing real crystals, making a CO2 explosion, sinking and floating an egg, glop and mud pie experiments, having fun with freezers, and more. 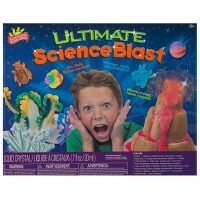 This fun science set contains an instruction booklet. 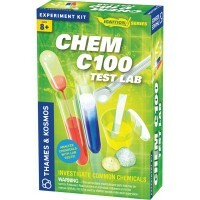 The children Chemistry Kit is also a great science lab for the classroom. 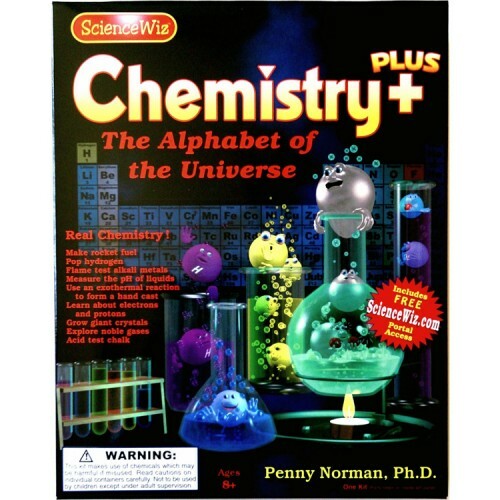 Dimensions of package 0.082" x 0.017" x 0.103"
Write your own review of Chemistry Plus Science Kit.